The IK Multimedia UNO Synth offers huge analogue warmth, depth and fatness in a lightweight, ultra-portable package that is ideal for use standalone and with your DAW. This true-analog, monophonic synth is ideal for creating huge basslines, leads, drones and FX, and is equipped with 100 production-ready presets. Featuring a 2-octave keyboard with hands-on programming, the UNO Synth is easy-to-use and perfect for beginners synthesists. On top of that, the IK Multimedia UNO features an integrated arpeggiator and step-sequencer, ideal for live performances and creating dance-floor shaking rhythms. Complete with various waveforms, a noise generator, filters and LFOs, the UNO Synth is the full package for thumping analogue sound. 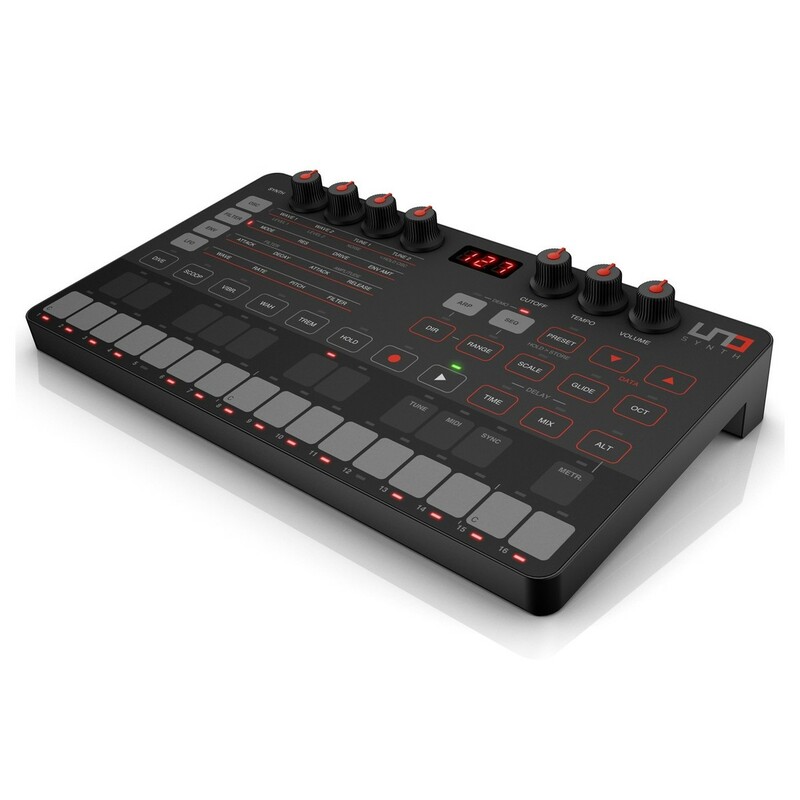 Designed for true, rich analogue sound, the IK Multimedia UNO Synth offers a wide sound pallet that is suitable for a range of genres and styles. Everything from classic to modern sound can be created instantly. At its core is a powerful synth engine with professional sound and a full analogue audio path that gives you chunky, analogue sounds. The UNO is equipped with 2 independent VCOs with Saw, Triangle, and Pulse Waveforms including PWM of the square wave, allowing for a wide range of analogue sounds to be created. The UNO also features a white noise generator, 2-pole OTA-based analog resonant sweepable multimode filter with overdrive, as well as 7 LFO waveforms for modulation. The independent oscillators can be tuned individually for interesting pad-like sounds, while the pure analogue filter delivers warmth, depth and fatness. Everything from deep, punchy basslines to soaring leads, evolving drones, sweeps and FX can be created. 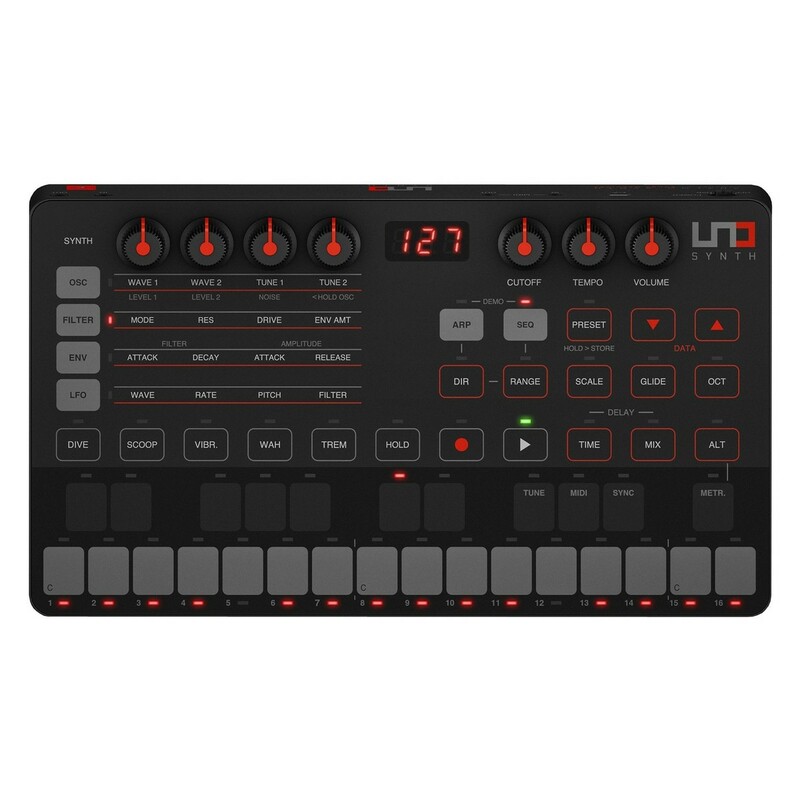 Ideal for beginners and pros, the IK Multimedia UNO Synth offers an easy-to-use interface that gets you creating sounds in no time. UNO comes with 100 presets already built-in so you can start making music straight out of the box, or you can delve in deeper and tweak parameters. Its 27-note multi-touch keyboard is easy to use and offers 2 octaves. The keyboard can be programmed as chromatic, or you can choose from 13 available scales. 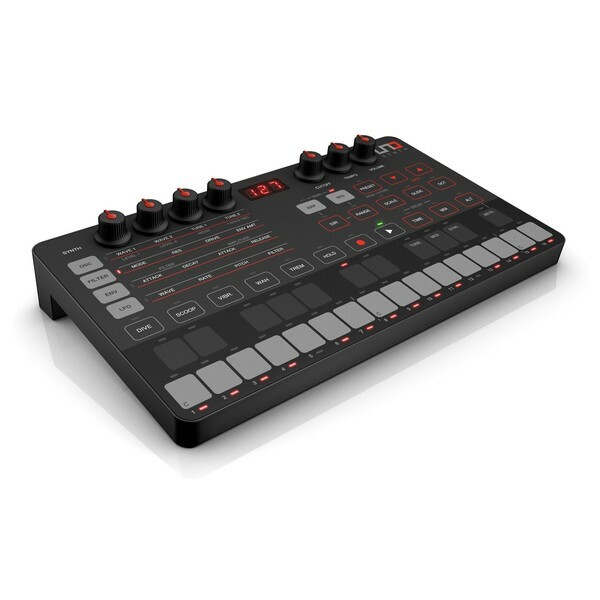 Additionally, this keyboard can be used as step-edit for its 100-step sequencer, providing added control. The UNO Synth also features a built-in delay effect and five instant performance modulations including Dive, Scoop, Vibrato, Wah and Tremolo for sweetening up those sounds. 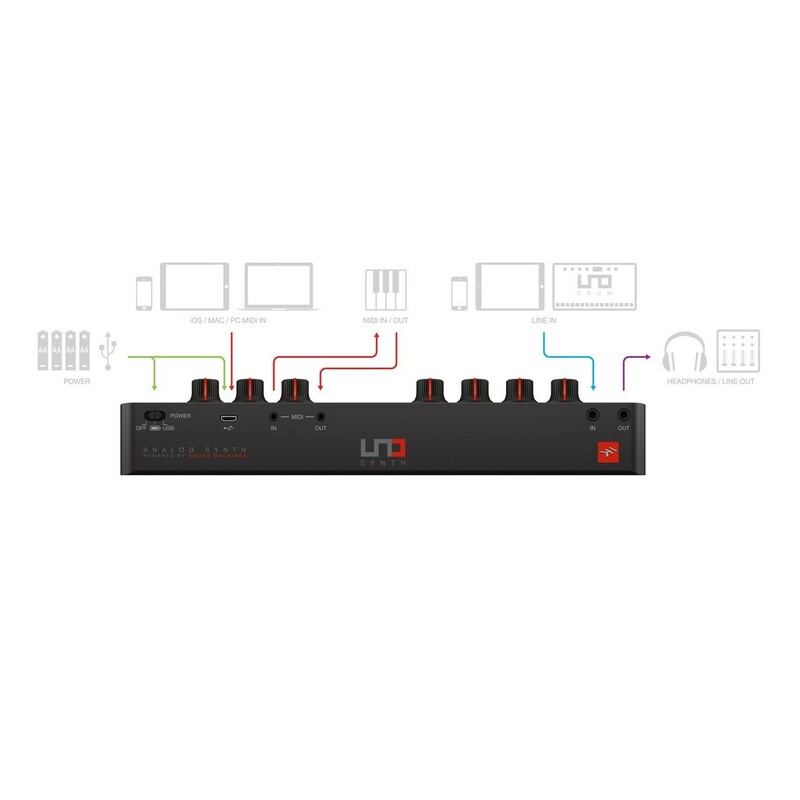 Thanks to its lightweight and compact design, the UNO Synth is highly portable and can be used in the studio or on stage. Its ultra-compact dimensions make it one of the smallest mono synths available, making it perfect for producers on the move. The wide range of connectivity options also makes it versatile. 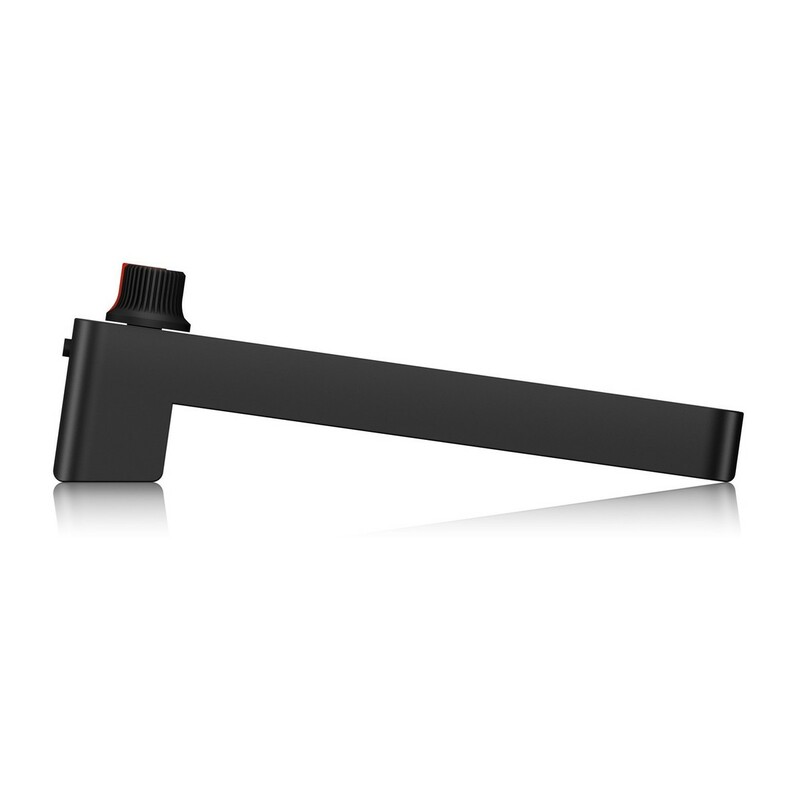 The UNO is battery powered by the 4 included AA batteries or by the USB power-supply (for battery power banks), allowing you to make music anywhere. The wide range of connectivity options also makes it versatile. The UNO Synth is equipped with a built-in audio input for daisy chaining with external audio devices such as a drum machine. 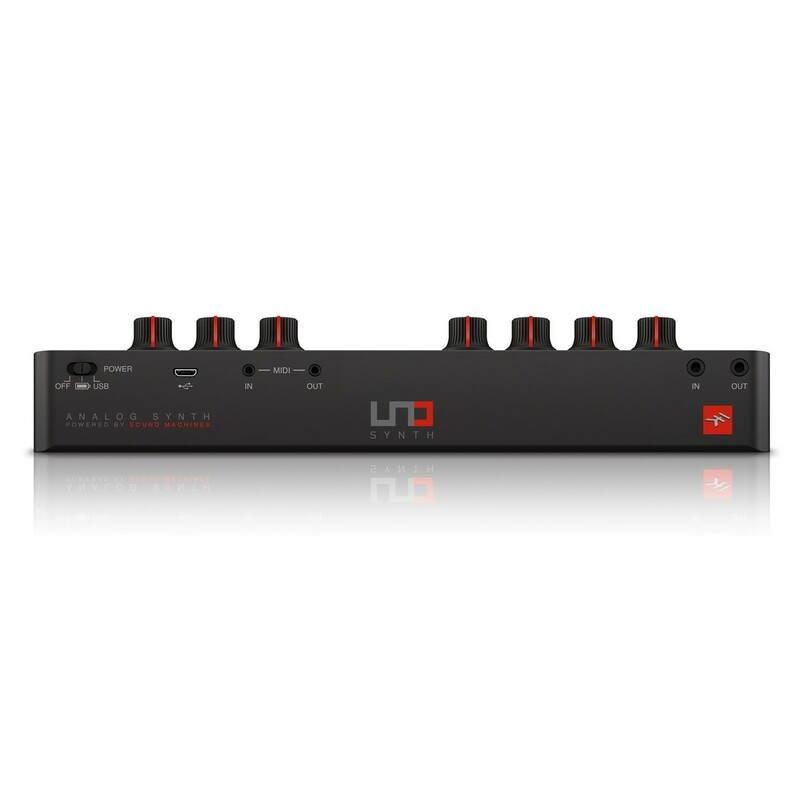 It also features MIDI In and OUT so you can connect with a keyboard or other MIDI Gear, while the USB MIDI port conveniently integrates directly with a DAW running on Mac/PC or mobile devices, without needing any additional hardware interfaces.